Why do Digital Enterprises Need Network Penetration Testing? Hence, as the world clock rotates, data gets exchanged in bulk via devices, applications, and across networks. 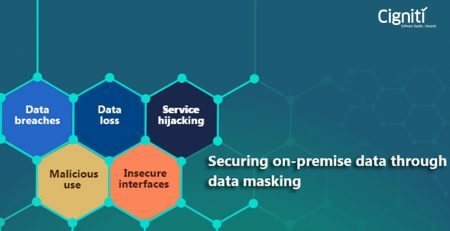 Consequently, triggering innumerable opportunities for a hack or a data breach through an application or via the network. Global enterprises work relentlessly to test and safeguard their applications from any possible vulnerabilities across networks, systems, hosts or network devices such as routers and switches. Especially, with the current explosion of data across applications and systems, there is a growing need to test the network for vulnerabilities and gaps. Network Penetration Testing helps teams to expose real-world opportunities for hackers to deliberately endanger systems and networks. They can get unauthorized access to intentionally expose sensitive data or hijack systems with malicious activities. Why is Network Penetration Testing critical? Penetration Testing (Pen Testing) is often confused with Vulnerability Assessment, but actually its methodology involves attack simulation that is conducted by highly trained security consultants for specific purposes – checking for security flaws in the environment, determining the kind of risks for the organization, restore the identified network security flaws. With Pen Testing an ethical hacker can execute an attack on a business network, a device or a network application to expose the vulnerabilities and exploit the network for exposing gaps. With consistent attempts and planned attacks, businesses can detect weaknesses in the security model. In the process Pen testing on the network also helps to strike a balance between setting up the best network security and ensuring that the business functions are conducted as required. Most importantly, when aspects such as business continuity and disaster management need to be addressed, network pen testing enables teams to make the process much more effective. For conducting Network Pen tests, network professionals need to seek appropriate authorization from the organization for conducting the tests on the network. The reason being, when the tests are not planned effectively and are not conducted as expected, it can disrupt the business continuity and disaster management efforts of the organization. Testing the network is critical, but everything must be strategized and planned along with experts and with consent from top executives for deriving the desired outcome. Planning being the most crucial aspect and phase, it begins with network professionals reviewing the user documentation, network specifications, cases of network usage, and various documents that could bring relevance. These details are later used for designing a chain of test cases for conducting penetration tests. Network professionals need to source information from various network interfaces that are established between software and the external environment namely, network interfaces, user interfaces, and application programming interfaces (APIs). It includes any kind of touch points that would be needed for planning and executing the tests successfully. For instance, a hacker needs to study the structure of these interfaces and the way they have been designed. In case of any flaw with the design of the interfaces, a perfect loop can be created for entering the network. What are the key steps to consider during Network Penetration Testing? As we understand, Network Penetration Testing can give results only when the best practices are followed and a checklist is created that can lead to the desired outcome. Hence, we list down the key factors or processes to consider while conducting Network Penetration testing. Before beginning the tests, it is important to determine the scope, the objective and importantly the parameters for success. This helps in prioritizing the pen tests for checking the network. Particularly, it helps in estimating the probable vulnerabilities in the network configurations. Estimating the scope of testing is by far the most critical step in the overall process. It will also help in creating a good mix of testing frameworks for deriving useful inferences. Defining the scope will take you a lot closer to your objectives for Network Penetration Testing and set the path for your next step, which is to choose the tool. There are few things you must consider while selecting the penetration tool for testing the network. The tool should be easily deployable and smoothly configured. 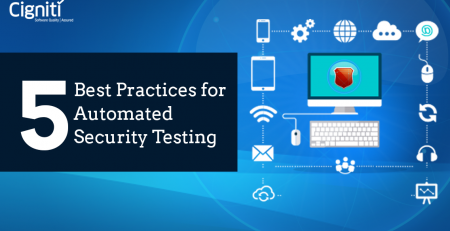 The tests should be segregated by listing down the vulnerabilities on the basis of severity and verification. What’s the point of conducting the tests if you cannot get the desired outcome? Hence, it is imperative to set the result criteria while working on the tests. It will reduce your efforts towards the end when the results are out and you have to cross check with what you intended to achieve since inception of the project. Every aspect of data is important for testing various interfaces within the network, which also includes the applications and the kind of data that is exchanged across the network. The tester must gather every inch of data and get a comprehensive understanding of the set-up. This will further help the testers to set-up a structure on the basis of which they would conduct repeated attacks on the network. Finally it helps to expose and exploit all the vulnerabilities that have been discovered in the process. This will help to identify every individual loophole within the network and get the desired results. The amount of data exchanged via applications and across the network is massive. Especially, user applications such as Uber, Amazon and Netflix even carry sensitive user data that needs to be safeguarded. All these transactions happen across a set network, which needs to be checked for vulnerabilities to keep any kind of data safe and sound. Cigniti offers end-to-end security testing services including Network Penetration Testing, SCADA Network Vulnerability Assessment and Penetration Testing, Web Application Penetration Testing, Wireless Network Assessment and Penetration Testing. 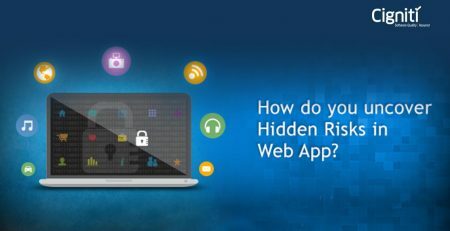 How do you uncover Hidden Risks in Web App?